Compared to other marketing campaigns like search engine optimization and social media marketing, email marketing tends to more expensive. You need to spend more capital on email marketing than two mentioned online marketing campaign types. Actually, there are a bunch of free email marketing tools you can take advantage of to run your email marketing campaign. You just probably didn’t know. Sites like MailChimp and MailerLite allows you to use their tools for free, although you have to work with some restrictions. You can at least figure out if email marketing works for your business without a risk of losing money. If you are running a small business and want to give email marketing a try, following are 9 free tools you can try. MailChimp is probably the most well-known email marketing tool. Plenty of online services support an integration with MailChimp. You can use MailChimp to collect email addresses and manage the collected email addresses before making certain campaign. MailChimp features an email builder that helps you create a better personalized bulk emails to your consumers. Whether you want to sell your products, share some big news, or tell a story, MailChimp is a great tool you can use to do so. MailChimp itself is one of the of the recommended email marketing tools for small business. You can use MailChimp for free although there are some restrictions you have to deal with. Free version of MailChimp is restricted to 2,000 subscribers and can only send 12,000 emails per month. The core service of Mailjet is same as MailChimp. It allows you collect as well as manage email addresses and send a bulk message to the collected email addresses. Mailjet can also be used for free with free version can be used to store unlimited contacts. Free version allows you to send 6,000 emails per month with a restriction of 200 emails each day. 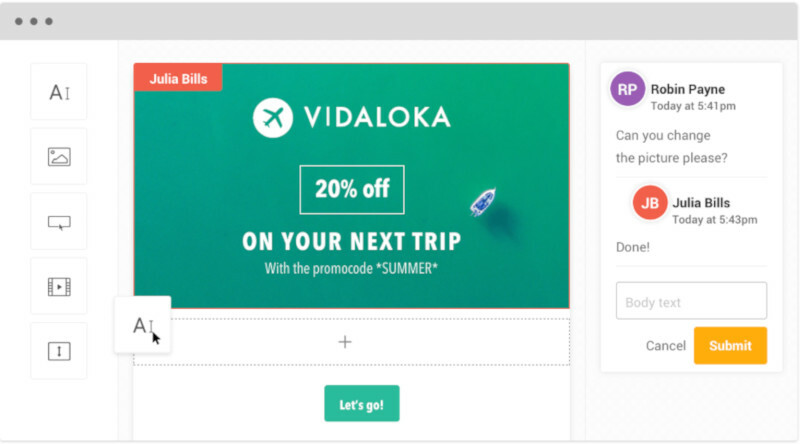 Mailjet also features a drag and drop email builder to allow you create a better email campaign. Collaboration is another interesting feature offered by Mailjet. 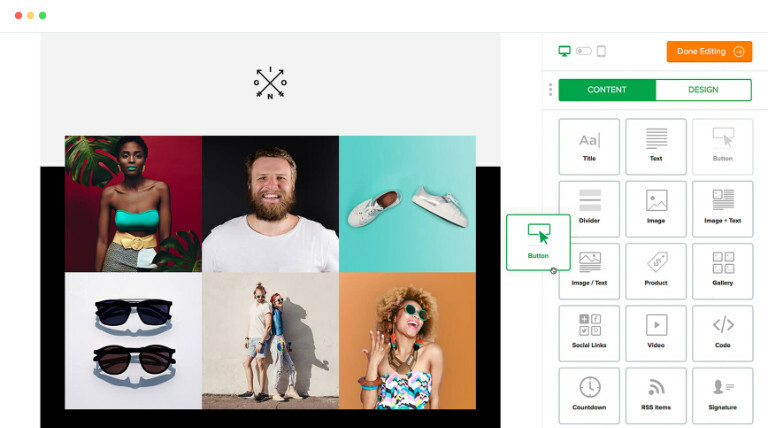 You can, for instance, design an email layout with your teammates remotely thanks to the real-time collaboration tool offered by Mailjet. Other key feature include an advanced tracking to monitor the performance of the sent emails. Interestingly, the last mentioned feature is also available on free version of Mailjet. 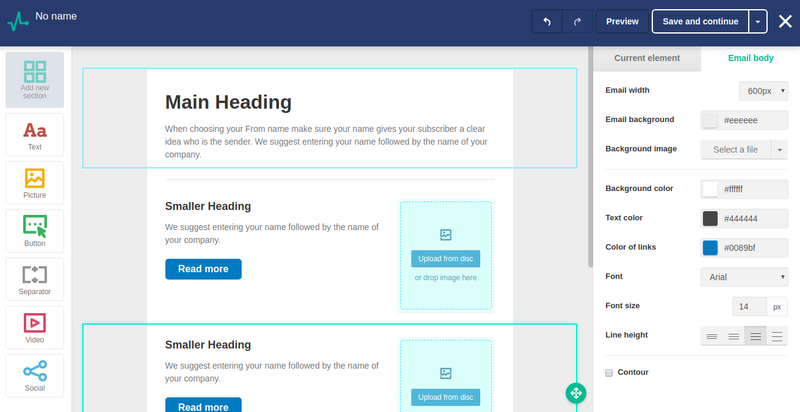 SendinBlue is another email marketing tool that allows you to send bulk emails. In addition to email marketing, SendinBlue also offers an SMS marketing tool. They key features offered by SendinBlue are not much different to two first tools above. It also features a contact management tool, email builder, and analytics features. However, not all of those features are available on free version. For instance, the analytics feature is only available on the premium version. Free version of SendinBlue itself can be used to send 300 emails per day. SendinBlue also supports integrations with WordPress, PrestaShop, Magento, and Drupal. 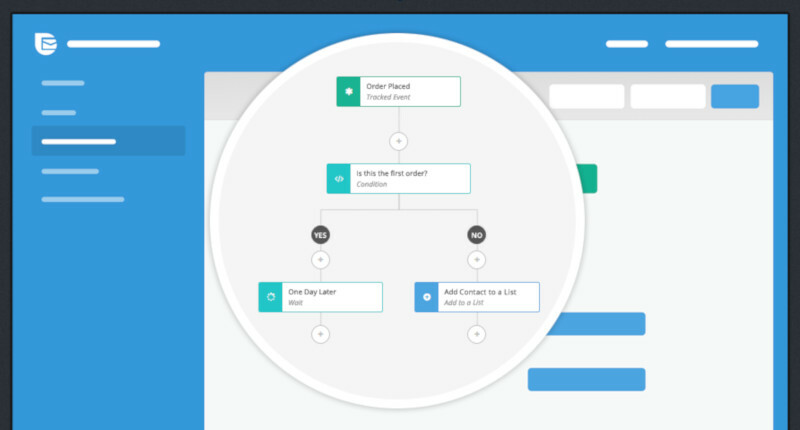 SendPulse is a feature-rich email marketing tool that you can use for free. The core service of SendPulse is same as MailChimp and other two tools above. You can use SendPulse to collect email addresses and send bulk yet personalized emails to the collected email addresses. 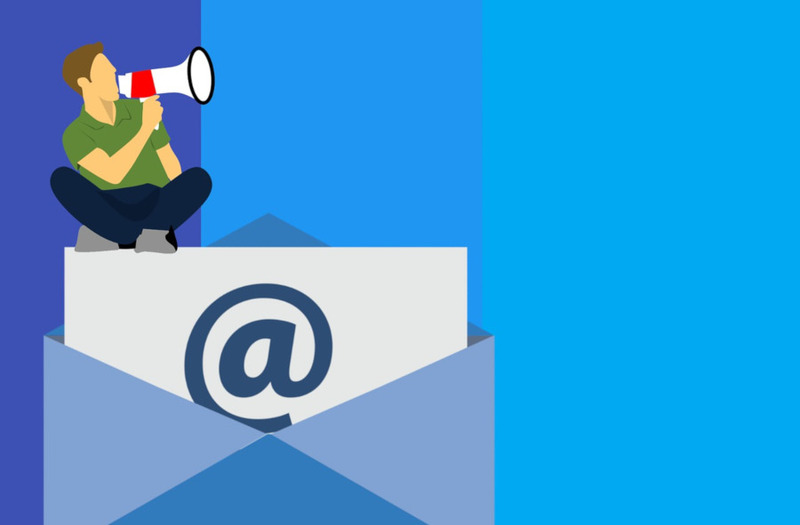 The free version of SendPulse can be used to manage up to 2,500 subscribers with the restriction of 15,000 emails per month. SendPulse itself is not merely an email marketing tool. You can also use it to send bulk text messages and provide web push notification on your website. We have covered SenPulse in this post. MailerLite is another email marketing tool similar to MailChimp that every small business owner can use to run email marketing campaign. One of the advantages or MailerLite compared to other similar tools is that it offers richer options of subscribe forms. Free version of MailerLite allows you to send as many emails as you want per month, but you are restricted to have only 1,000 subscribers. The email builder of MailerLite also features a drag and drop editor. In addition, the email builder of MailerLite also offers built-in photo editor as well as file manager. 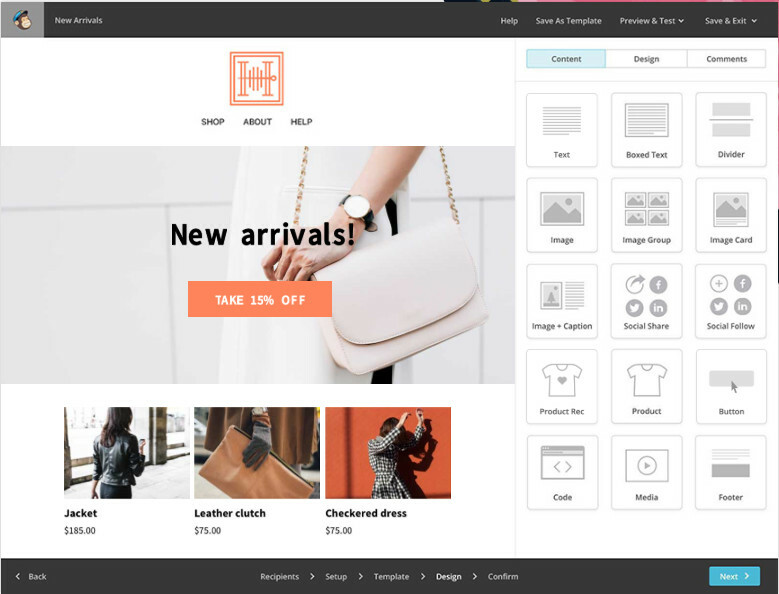 MailerLite also supports a bunch of integrations, including with popular platforms like WordPress, Shopify, SquareSpace and so on. Email marketing is not always about collecting email addresses and send bulk messages to the collected email addresses. There are several other things you need to do to get the most out of your email marketing campaign. Like tracking the email you sent. If you use Gmail on your daily basis then Mailtrack is the tool you need. This tool allows you to figure what happened after you sent your emails. Mailtrack is available as a browser extension for Chrome and Firefox. With this tool, you can figure out if your Gmail messages have been read by your your recipients. 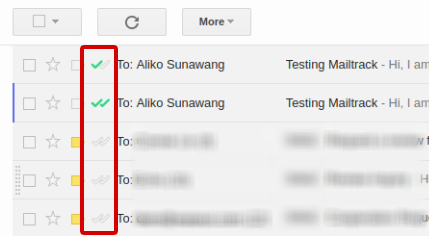 SalesHandy also allows you to track the Gmail emails you sent like Mailtrack. The difference, this tool is not specifically designed to work on Gmail. You can also integrate SalesaHandy with Outlook and Exchange. Also, SalesHandy is not specifically developed to be an email tracker. Instead, it comes with several other features to help you to get the most out of your email marketing campaign. Some featurs offered by SalesHandy are auto-follow up, email templates, email scheduling and mail merge. You can use SalesHandy for free. Free version offers unlimited email tracking. There is a 14-day trial period offered by SalesHandy that allows you trying the premium features. Google has released the new version of Gmail. But, there is a feature missed by Google: email scheduler. Scheduling an email is crucial enough if your business covers global consumers. By scheduling emails, you can set the best time to send certain emails according to the timezone of your consumers. Scheduling emails can also help ensuring you won’t be missing any email you supposed to send. Boomerang is a Chrome extension you can use to schedule emails on Gmail. This tool also has several handy features like response tracking, click tracking, read receipts and so on. Boomerang also offers a free plan so you can use it without spending a dime. To make your email looks professional, you need to add a professional-look email signature on your email. WiseStamp is an email signature software that helps you create a better email signature. This tool can work on Gmail, Outlook and Yahoo! Mail. You can also use WiseStamp for free to generate a professional-look email signature. It’s just, your signature won’t look cool since you won’t be able to remove the WiseStamp branding.